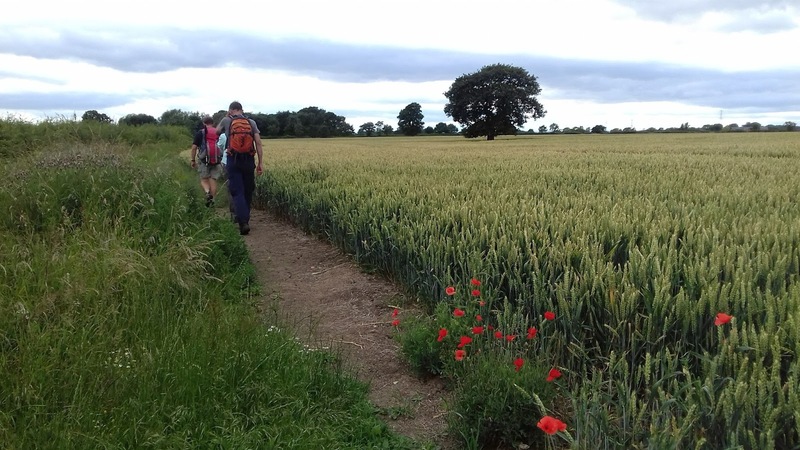 Abbeywalks: Launch of Self-Guided walking holidays ! After a very successful year of providing Guided walking holidays during 2017, we are pleased that our 2018 dates are now available to book. Catch our Early Bird Offer for a reduced price if you book a 2018 guided holiday before the end of November. We also now provide self-guided walking holidays for our most popular route ' The Prior Richard Way, via Ripon Cathedral ' between St. Mary's Abbey, York and Fountains Abbey, near Ripon, Yorkshire This holiday is totally flexible in that it can be taken at any time of year, and you can take as long as you like to walk it. Check out our self-guided walking holiday page. Also exciting, is that Tony is about to embark on walking an ancient route between Rome and Canterbury, following the footsteps of St. Augustine who founded Canterbury's Benedictine Abbey in 598 ( which remained a Benedictine monastery until 1538 ). Tony will walk a total of 2500 km / 1550 miles in 3 chunks, the first of which will start on Saturday 14 November. He will finish his journey during 2018. This route will then be made available on our website for you to download / use the walk instructions and / or GPS co-ordinates so that you can also walk this route. So, watch this space or our home page for links to his blog.